The Precaryous Womens Biker Chick Bicycle Jerseys have been one of the greatest selling womens jerseys ever. Beautiful graphics will never fade. Show them you’re a Biker Chick! 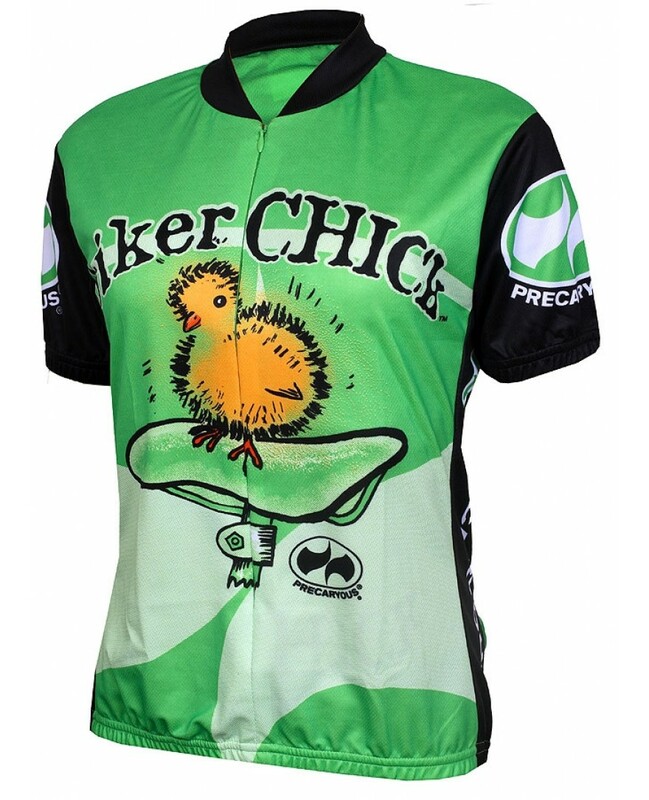 This Precaryous Biker Chick Short Sleeve Jersey Lime is made out of DrySport Wicking Polyester fabric for full breathability. Keeps you dry and cool on those hot days. 15″ front zipper. Elastic waist and cuffs. Three rear pockets for storage. Womens Specific Fit.